Recently we published a blog post about how our cities are becoming products, and that location data is one of the key insights to ensure correct and rapid city product development. We also argue that most cities today have very little of such insights. 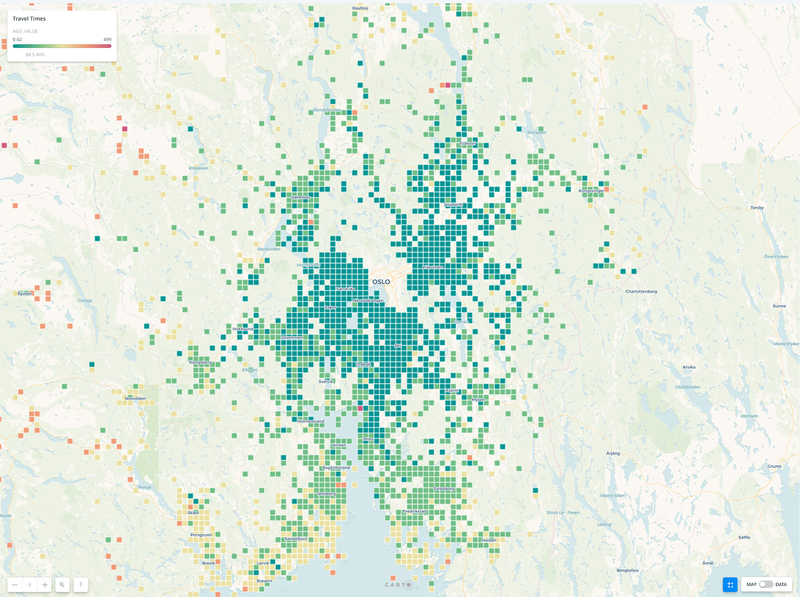 So, we decided to dig into our data products and new city analytic product suites, built on top of aggregated anonymous data from the telco Telia, to see what we could find. ‍Sunday the 28th of October Storgata in Oslo, one of the main transportation roads for buses and trams into Oslo city centre, was closed to upgrade, ironically, public transportation logistics. Before the street was closed several citizens complained in the press that there had been little information about the closing and alternative routes. They were right. We look at travels that passed by Storgata the following Monday compared to the Mondays before. 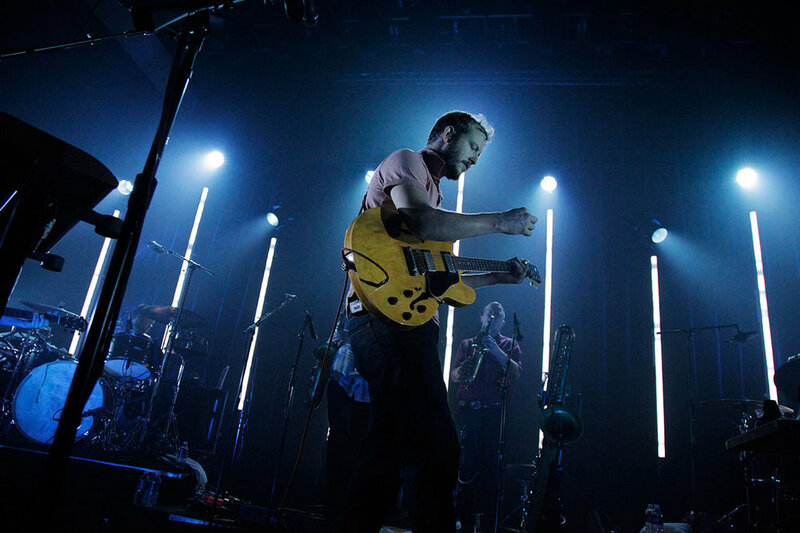 This day Bon Iver performed for a sold out Oslo Spektrum, and we wanted to understand how one event changes the flow of the city, and how neighbouring bars and restaurant should plan around a concert event like this. We look at activity levels near Oslo Spektrum and around Youngstorget to understand the impact of the concert on these two areas. The first snow is always a shock to the city system, but what really happens to traffic and to what kind of traffic. 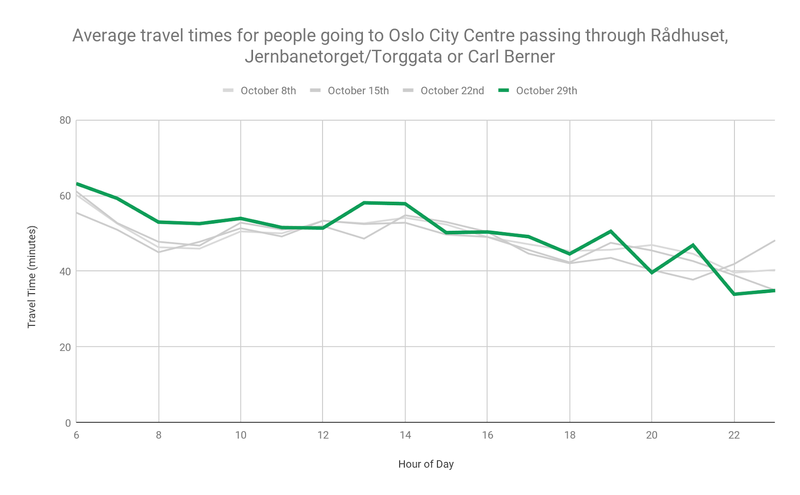 We look at the median door to door travel times for commuters into Oslo before the snow fell, and compared it to the 30th of October. Snow causes delays, but not for everyone. Why is that? Cities are products, and we are just now starting to understand what makes them tick like clockwork - or break completely down. Contact us to learn more.